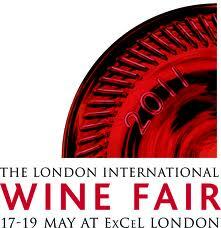 The UOWR (Union of the Oenologists and Winemakers of Russia) and the Asti Group exhibition company will present “The Best Russian Wines” at the masterclass at London International Wine Fair 2011, ExCeL London, 19th May 10:30–11:15 (Masterclass Theatre) . 7 Russian best wineries: “Myskhako”, “Fanagoria”, “Abrau-Durso”, “Avrora” and “Kuban-Vino” from the Krasnodar region, and also “Millerovskiy winery” and “Tsimlyanskiye wines” from Rostov will introduce their own brands —“Villa Victoria”, “Chateau Tamagne”, “Abrau-Durso”, “Cru Lermont”, “Château le Grand Vostock”, “Vinodel’nya Vedernikov”, “Tsimlyanskoe wine”. Russian oldest local grapes varieties are the common property of Russia and the part of the global wine culture. They deserve to be well-known in the world. Russian wineries put a lot of efforts to revive the unique styles of wines from the autochthonous varieties of grapes which can adequately represent the country wine industry in the international arena.